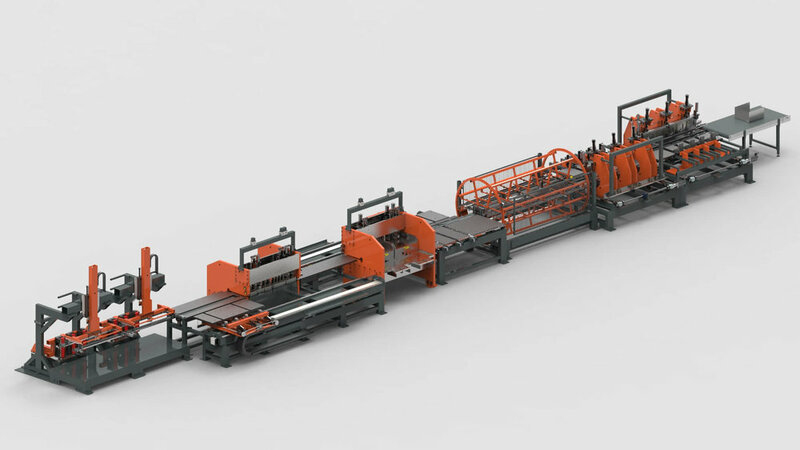 For the production of Drawers, our production lines offer various possibilities for products with different sheet thicknesses (0.4 to 1.2 mm). The high output results in the lowest cost price per product. In combination with our standardised, modular construction, you can moreover easily expand your production process. The production lines for drawers offer possibilities for products of various sheet thicknesses (0.4 to 1.2 mm). The lines deliver a high output of up to as much as 10 panels a minute. Automatic application of the rail holders results in direct logistical savings. These innovative production line produce drawers for tool trolleys, office furniture and filing cabinets. Without having to adjust the bending tool, these lines can produce several models and drawer heights (from 50 to 200 mm). During production, bending angle adjustments can be made without stopping the line. Thanks to the high quality welded seams, no extra post-processing is needed before the product is painted. These properties result in high productivity and flexibility.